6. Seek honest feedback. It can be difficult for a leader to express negative concerns about a follower’s weaknesses. It is much easier to focus only on his strengths. To build mutual trust and openness, a healthy follower will encourage the leader to be candid and direct. He will ask the leader for input on how his performance can be more effective, and he will not withdraw and sulk when the leader shares corrections or concerns. In this way, the healthy follower chooses accountability regarding his own life, the details of his own ministry and how his ministry fits with the whole community. Scope of authority and responsibility. Specific goals that must be attained. Followers must pursue clarification in these areas. Sometimes the issue is role conflict: the leader directs a follower to perform mutually exclusive tasks and expects results from all of them at the same time. Healthy followers will diplomatically but firmly resolve role ambiguity and conflict. 8. Show appreciation. 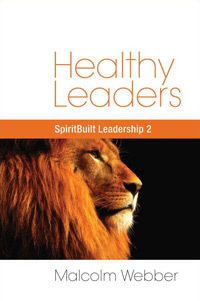 Healthy leaders affirm their followers, and healthy followers affirm their leaders. When such affirmation is sincere and not manipulative, it will strengthen the leader-follower relationship as well as encourage the leader to push ahead toward the fulfillment of the vision.